John Jorgenson is a Director at Camp Tawingo in Ontario, Canada. Camp Tawingo was founded in 1961 and comprises a summer camp, outdoor center, private school, and camping publications. John has provided leadership nationally and internationally for over 40 years, at professional conferences, in publications and through workshops. John is President of the International Campting Fellowship - a worldwide organization dedicated to bringing together the world of outdoor experience. He has presented to camping and outdoor education groups across the United States, Canada, Australia, Greece, Japan, Russia, Ukraine, Venezuela, Nigeria, Colombia, Mongolia, Turkey, Mexico, Hong Kong, China and Malaysia. Camp is for the camper! A training course for the 4-H archery discipline will be offered as a workshop at the 2018 California 4-H Camping Conference. 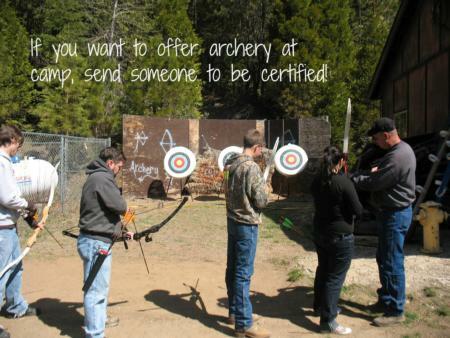 Upon successful completion of the course, participants will be certified as archery volunteers and can instruct archery club projects and camp programs. Please note that the certification course will require attendance for two days so you will not be able to participate in other conference workshops. Register for the archery course when you register for the conference. Early registration is due by February 15, 2018. Regular registration is from February 16 to March 23, 2018. Registration includes meals, lodging, and course materials. Registration fees include meals, lodging, and all conference materials. The conference begins at 7:00 p.m. Friday after dinner, ending after lunch on Sunday. 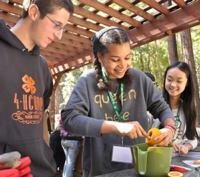 Download and share the brochure to promote the California 4-H Camping Conference in your area! 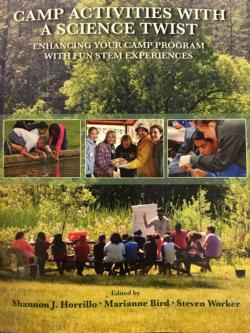 STEM activities are some of the most popular camp activities, appealing to both campers and their parents as an interactive and fun way to learn STEM concepts. 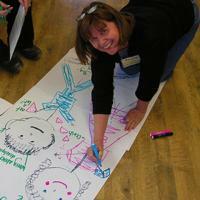 This curriculum is for all kinds of camps - it is not limited to 4-H Camps. Copies will be available at the conference for $25.00, $4.95 off the regular price.